Call me crazy, but there's just something different about the Atlantic–and since I live just a few blocks from the Pacific, I feel qualified to make that assertion. With summer just around the corner, I can smell the salty air of Massachusetts marinas and taste the corn on the cob–can you tell I'm not completely sold on life in San Francisco? 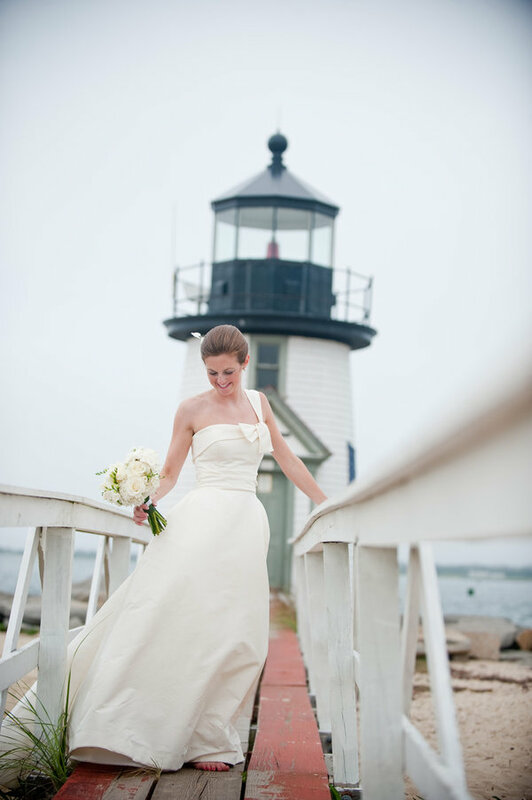 This Nantucket wedding is the perfect way to celebrate all things perfectly prep, and a wonderful reminder that no matter the weather, the day you marry your one and only will be beautiful! 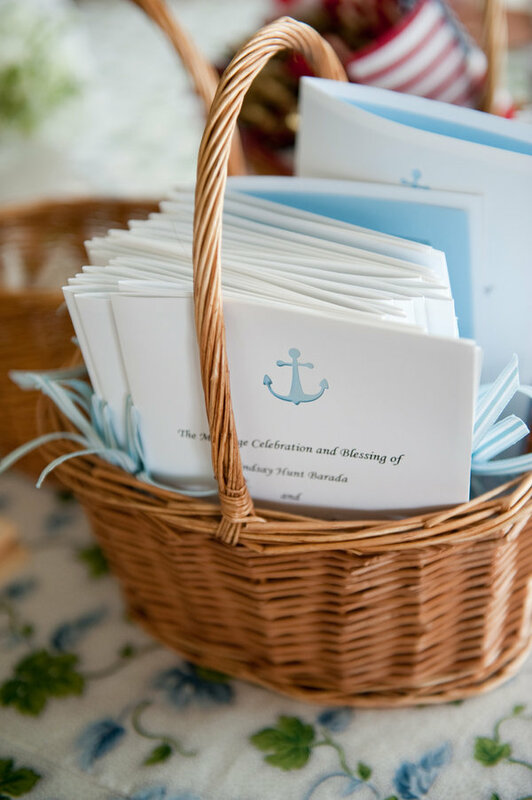 The pair, who used the beauty of Nantucket is their theme, sent out nautical-inspired invites for their August nuptials–little did they know Hurricane Irene was also on her way! 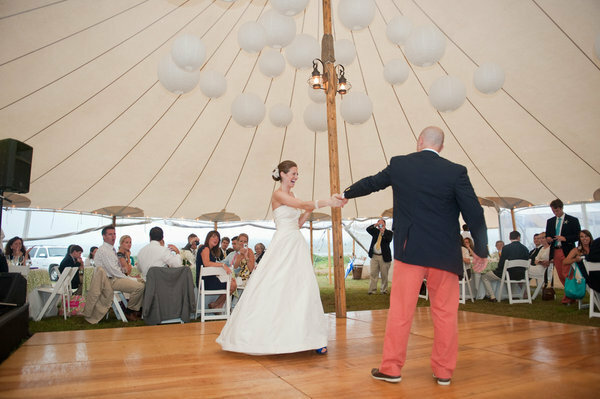 After a year planning her perfect tented wedding, there was no way the bride was letting all that work go to waste, and so while guests called to cancel at the last minute, Lindsay and her family broke out the rainboots and umbrellas. 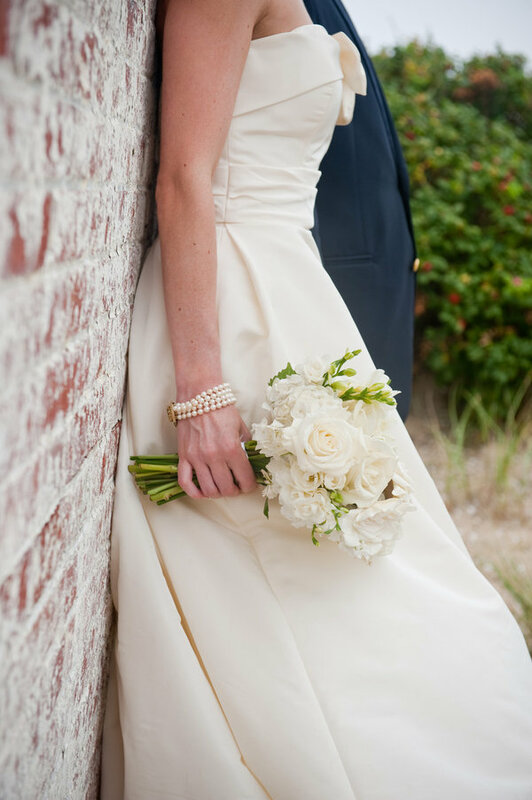 The bride chose a one-shouldered Amsale gown, paired with blue Kate Spade sandals, pearls and a feathered fascinator by Bride's Head Revisited. 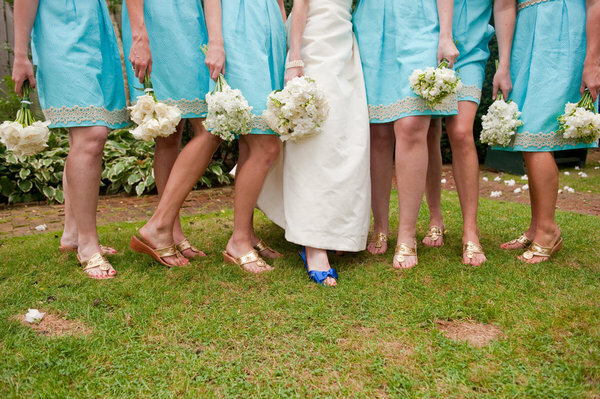 She and her bridesmaids, dressed in preppy classics Lilly Pulitzer and Jack Rogers, carried lush ivory bouquets by Jean Cawley of A Taste of Nantucket, while her Canadian groom and his pals donned Nantucket Reds, Sperry Topsiders, navy blazers and Etro ties. 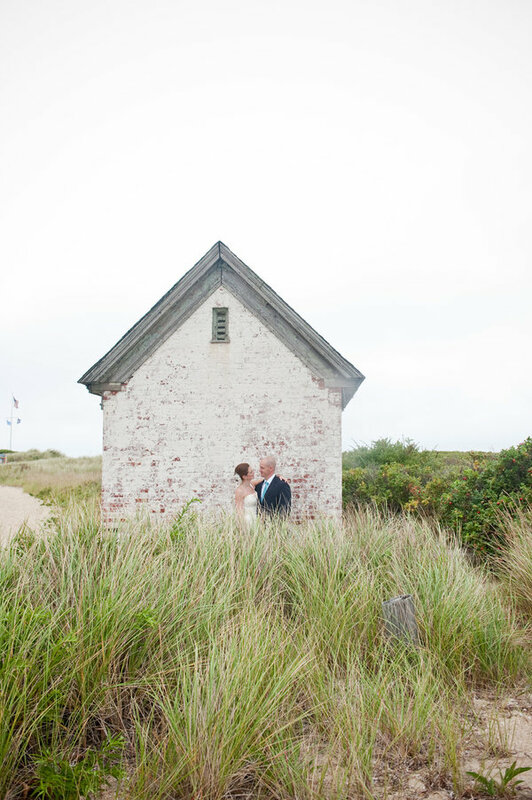 After a traditional ceremony at St Mary's, Our Lady of the Aisle, guests took cover under a Nantucket Tent. 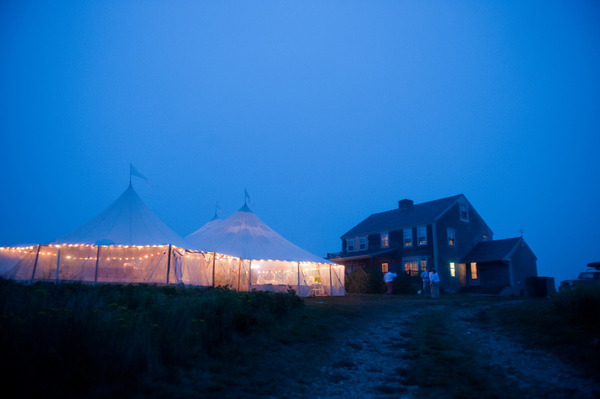 A Taste of Nantucket made sure guests experienced an East Coast summer feast, but it was the groomsmen's self-made fireworks display that truly blew everyone's socks off! 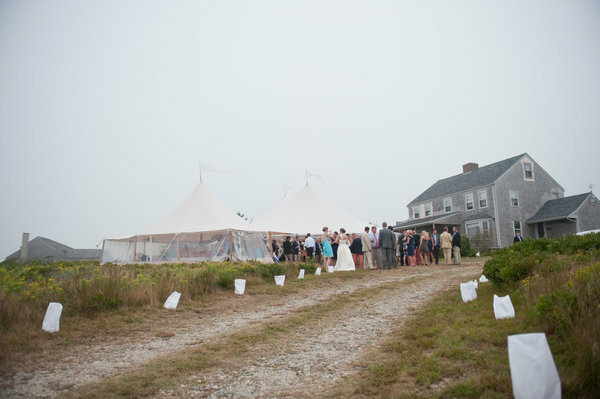 Only hours after the reception was finished and vendors were breaking down the tent did Hurricane Irene arrive, and the newlyweds threw a "stranded party" the next day, since there was no transportation off the island! 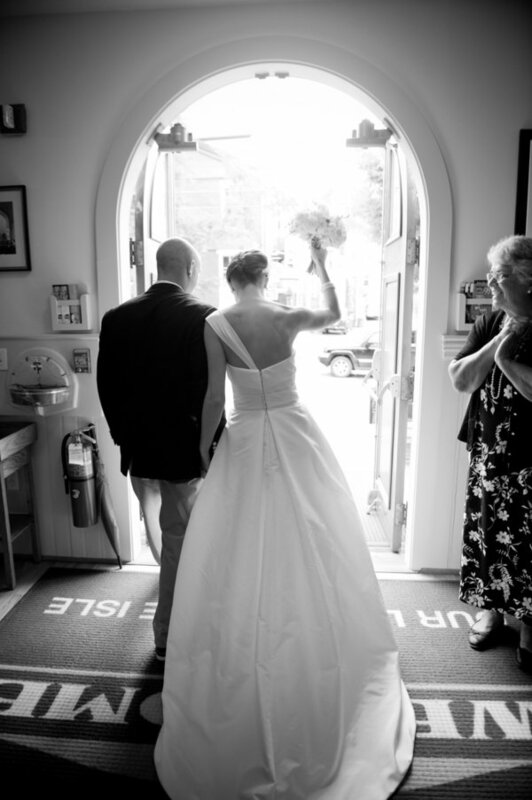 Bravely capturing each gorgeous moment was Brea McDonald, whose photos tell such a fabulous story of one couple's faith in love–and the weather. Thank you so much Brea, for letting me feature your beautiful work! Love the dress , and all else. What a delight these two are! Followed on 'So about what I said'. 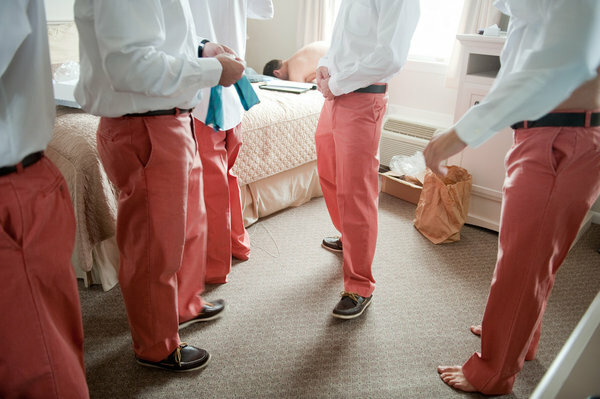 As soon as I saw the Groomsmen's coral colored pants I knew it looked like super-fun. 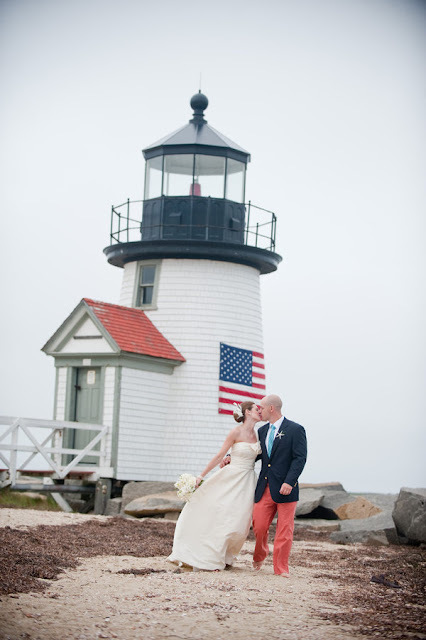 i love this new england wedding... you can really feel it happened over there! 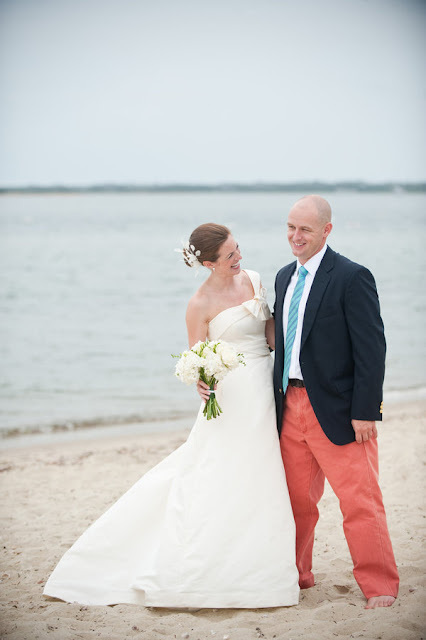 @luna agreed the groom's coral pants are ah-maaa-zing! 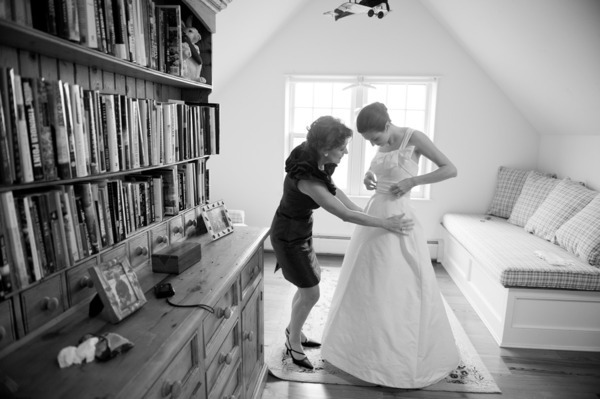 That wedding gown is also freaking gorg! I'm with you- I'm in LOVE with Nantucket. If I could pack up all my belongings and move there, I totally would. 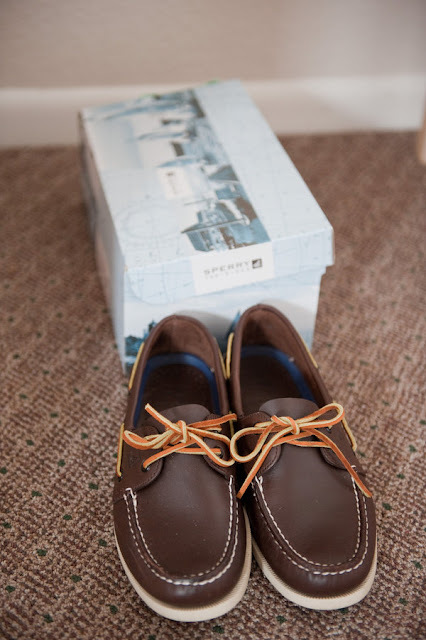 I love that the men wore boat shoes! 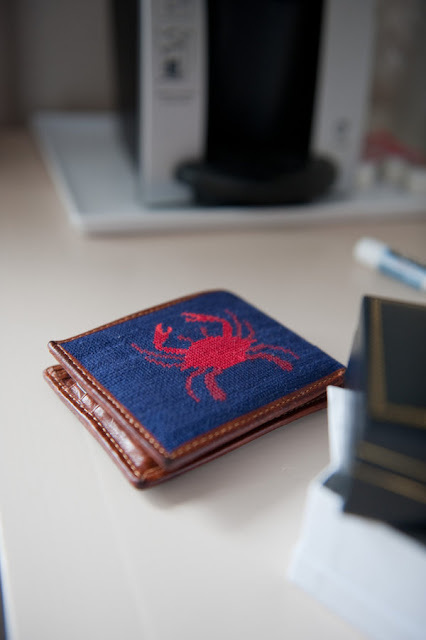 Adore the preppy style! 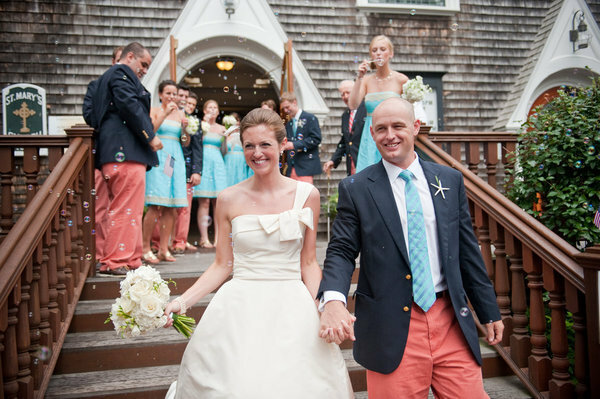 May be my favorite bridal party ever- the guys rocked their coral pants & the ladies stunned in those turquoise dresses. This is the most perfect Nantucket wedding ever! The one-shouldered Amsale, the Nantucket reds, bridesmaids in Lilly, Sperrys AND Sperry tents...I love it all! 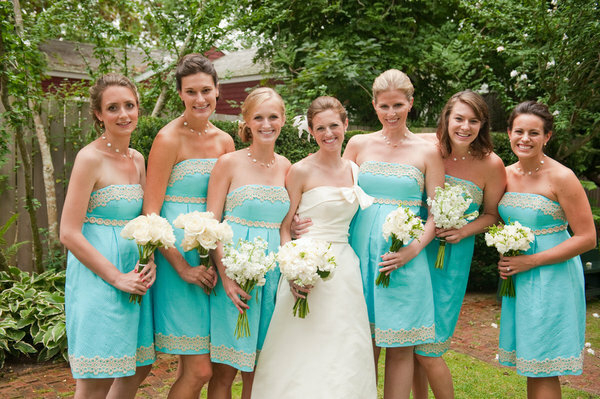 The bride looks lovely but the bridesmaid dresses are totally distracting! That blue colour is absolutely gorgeous! I want walls that colour... Haha I think I'm going to have to take them into the paint shop! What a cute theme! I'm loving her dress and the little lobster lollipops! what a fun casual wedding. I love the starfish on his blazer, it adds such a nice touch. What a beautiful wedding! Love these photos. Really like all the colors they had in their wedding; those coral pants on the guys are so fun! 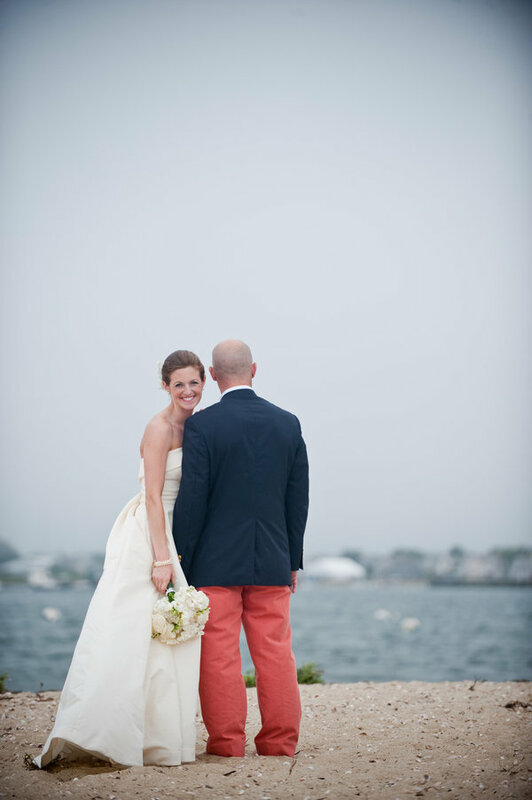 Oh my- how cute are those men's coral pants- I love that look. 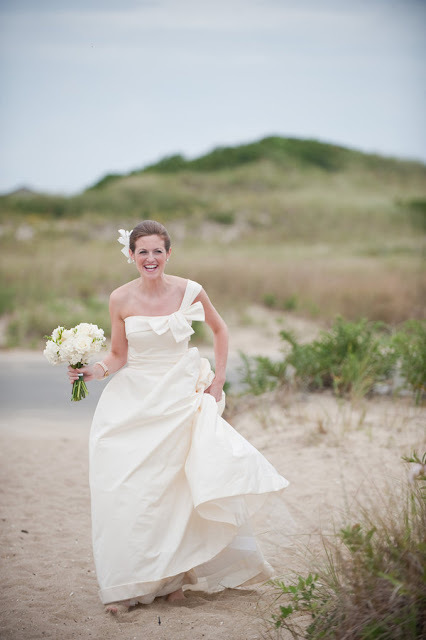 Her dress is so beautiful!! Such a great feature!!! Um, can they redo this wedding so I can be in it?? 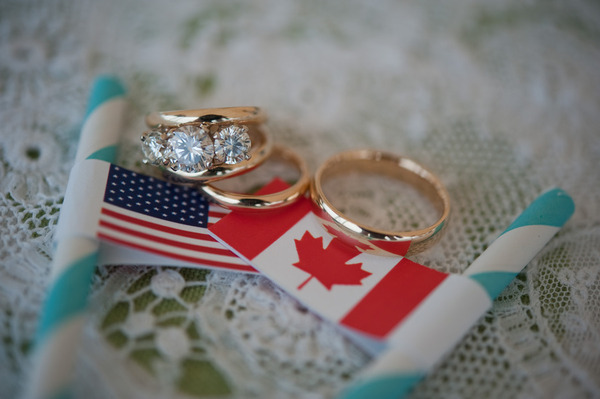 You know I love this because of the Canadian and American flag mix :) That just melts my heart. 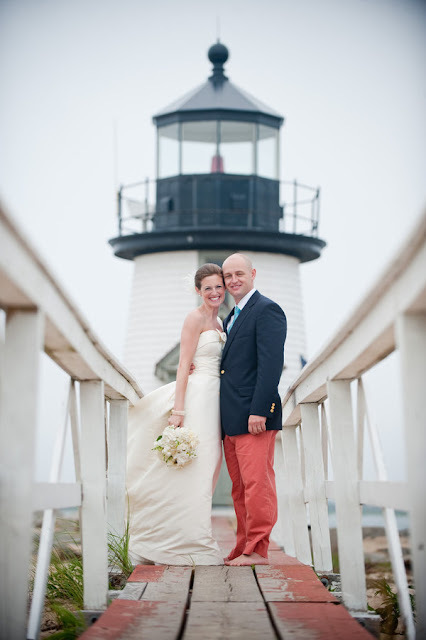 And those coral pants the dudes are wearing are simply amazing! 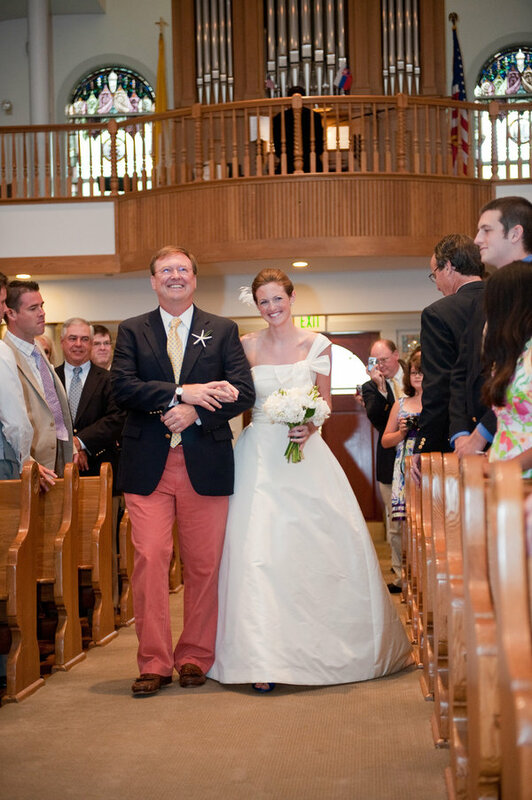 Men in coral pants?! Yes, please. 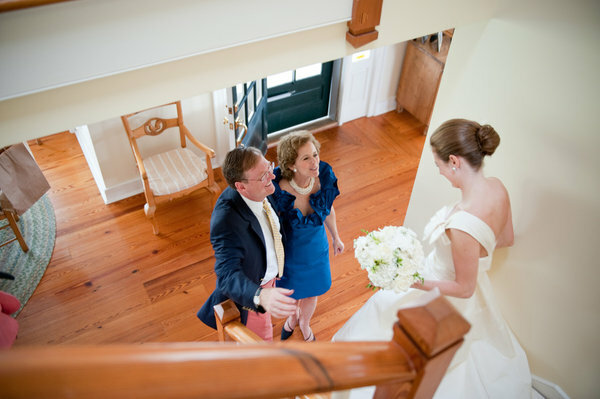 I am loving the bridesmaid's frocks too! 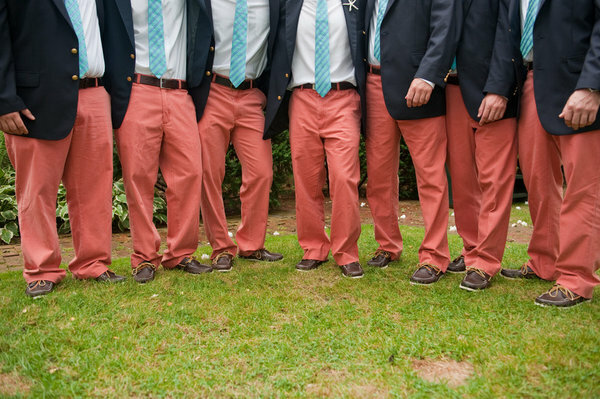 Wow love those groomsmen's coral colored pants! Where to begin? That lighthouse! Those pants! 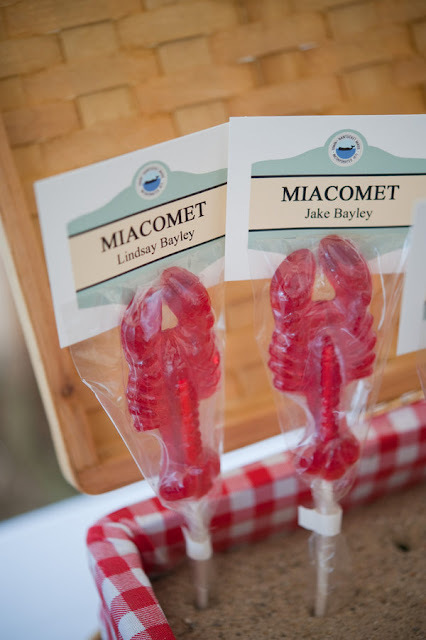 The lobster treats! Love. I'm lovin' all this classic New England style! 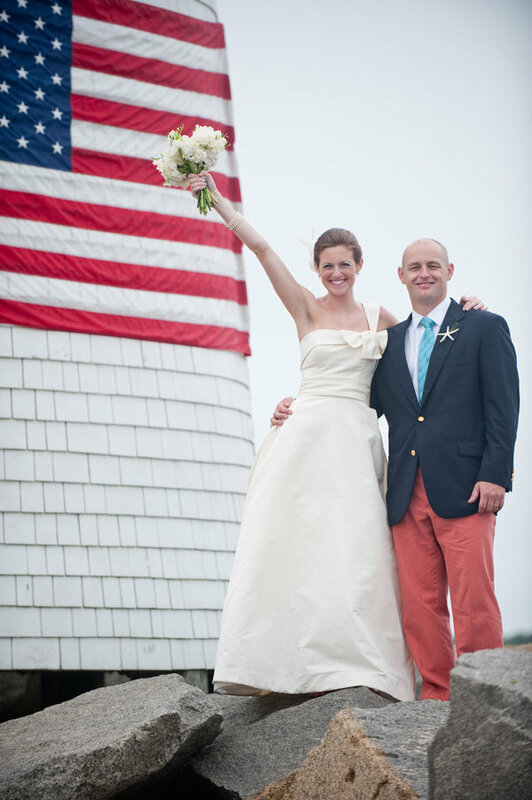 The starfish details, the colors, the bride's dress...so stinking gorgeous! These are lovely photos! 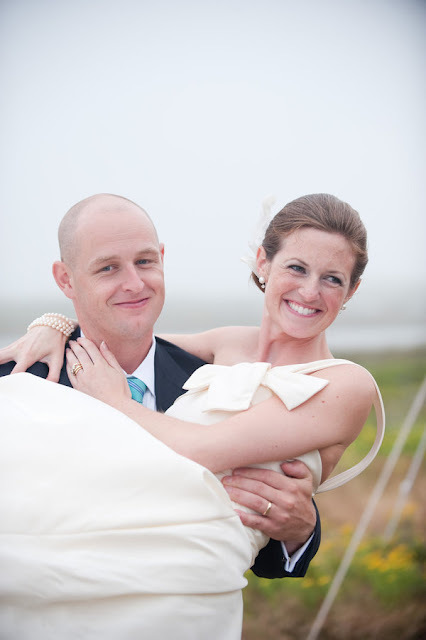 What a beautiful wedding :) You have a nice blog here, can't wait to see more posts! 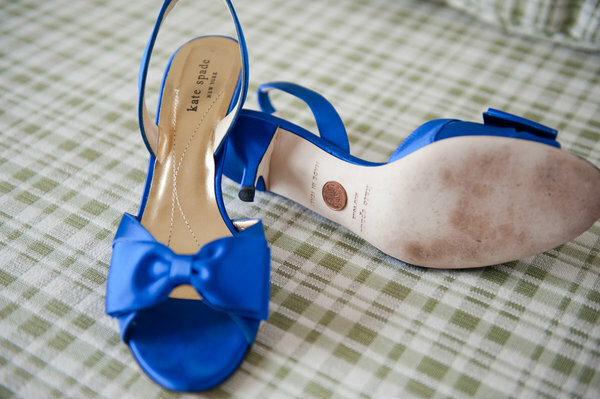 For once I am going to comment on the groomsmen shoes...I LOVE that they were topsiders. Totally original! 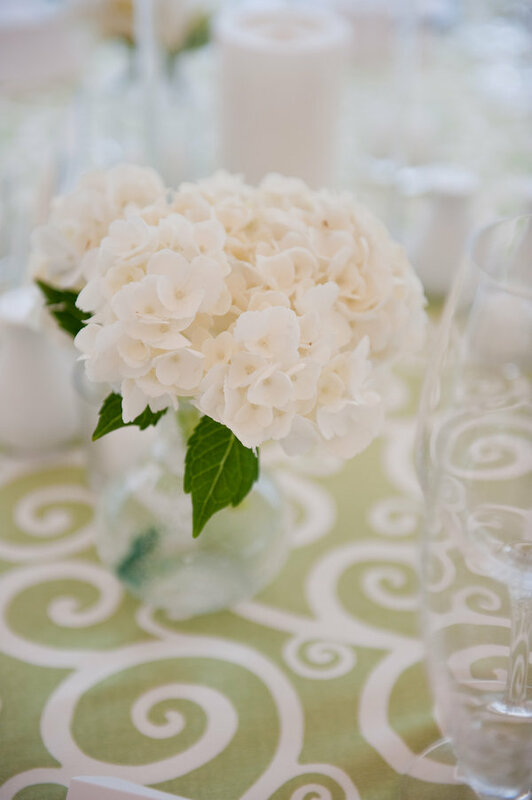 Look at that lovely showing of blue and white, I just adore the combo! stunning photography! 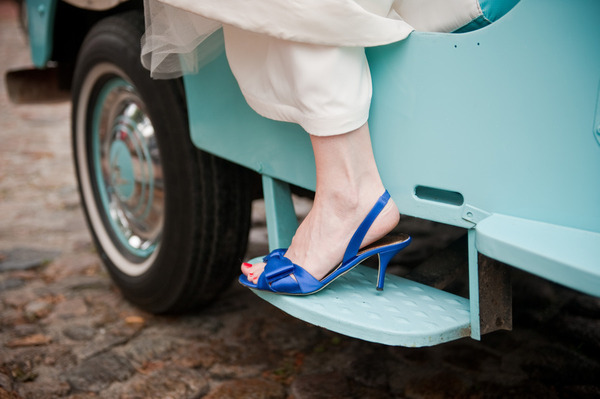 that blue is one of my favorites, I absolutely love that they weren't afraid to have fun with color! Aah, this wedding just gorgeous! 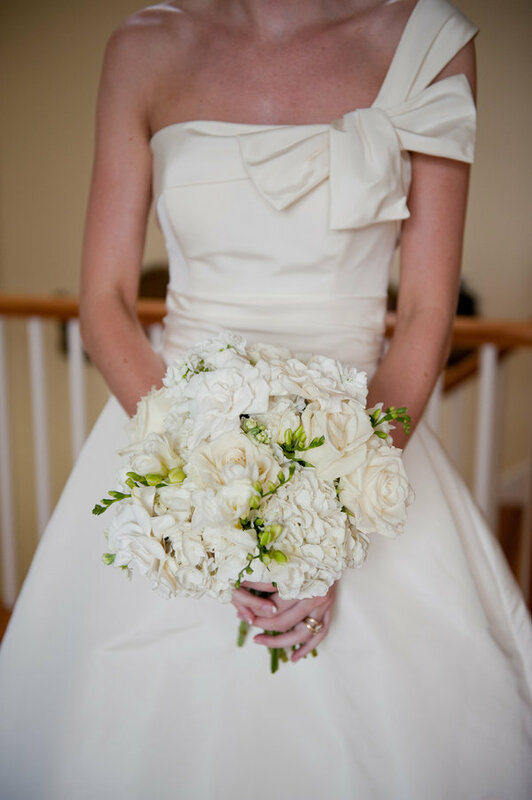 The bouquet and bride's/BM's dresses are perfection. 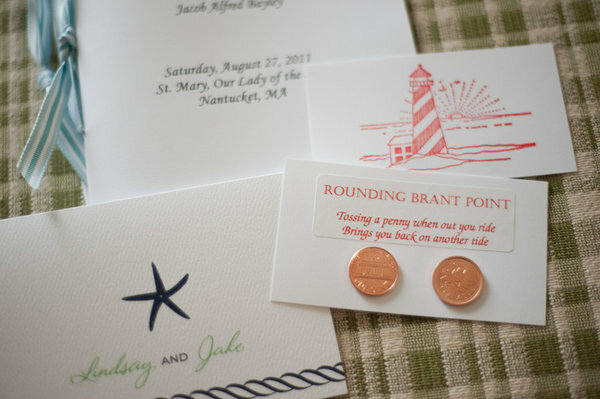 We had a coastal wedding ourselves, always appreciate a wedding by the seaside! 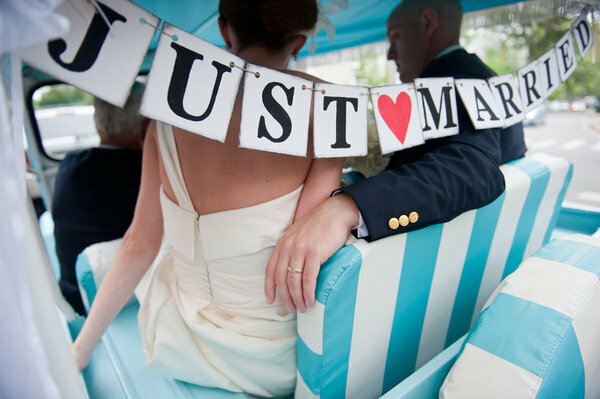 I love this wedding too! Its great that they threw in some color on the guys! 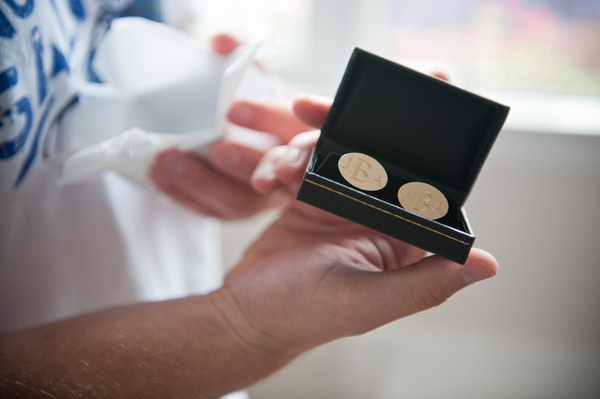 It gave me some inspiration for my own wedding this September.